Destiny - The Complete Collection Announced — GamingWithSwag.com - Dads By Day, Gamers By Night. Since Chris and I began our adventure into Destiny it has absorbed quite a few hours of our lives. And while we were late to join the party as we waited for the Taken King collection to get cheap, we are set to be early adopters of the fall release of “The Rise of Iron” Expansion. 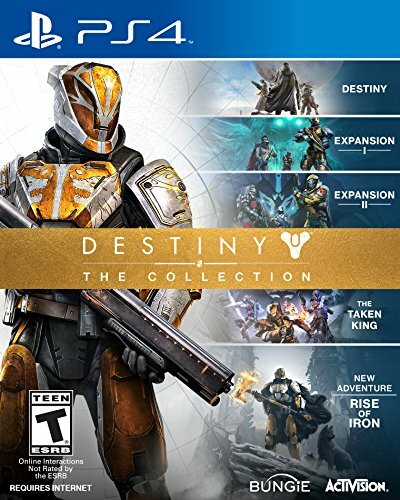 For those who have held out this long, or who might be finally upgrading from the last generation there is a collection set coming out for 60 bucks to get all the previous content for Destiny. Like The Taken King Collection which provided a onetime boost to level 25 for a character this pack will bump someone instantly to level 40 which is the current level cap. Since we already own the Taken King collection we only really need the Rise of Iron content which is 30 dollars by itself. However, the level 40 boost might be tempting enough to pay the additional 18 dollars to get the collection ($48 after the Amazon Prime 20% discount). We have both been somewhat stuck with the characters we originally selected and the grind to build up a new character in another class has kept us both from doing it. While others may enjoy this process as busy dads I couldn’t imagine it. But for 18 dollars or less than 2 hours of pay for most people you can skip that process and get right into the action. I could keep my beloved Hunter, but suddenly have a level 40 Warlock to play with in the game. We may have begun this process as two cheapskates, but now I am debating buying a game I already own for some extra content and a onetime level boost. And it is compelling. If you have waited the game out until this time, I will say that the value is strong to jump in with this release.